The dangers of applying make-up at the wheel – Ruth Peters, Specialist Motoring Solicitor, considers striking a balance between beauty and safety. Picture the scene. It’s been a rushed morning. You’ve finally managed to get out of the house and on your way to work dressed ready for your breakfast meeting. You’re in your power suit with perfectly styled hair. But it’s been that busy you simply haven’t had time to apply your make-up and your crucial meeting starts at 8 am. But you’re bound to be stuck in traffic for at least part of the journey so you can simply put your make-up on in the car can’t you? We’ve all seen female motorists applying their lippy whilst stuck at traffic lights and plenty seem to use the opportunity to apply a couple of layers of mascara. That would certainly appear to be the view of many female motorists. 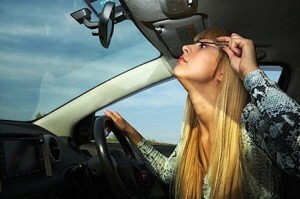 In a study conducted in 2013 almost half of women admitted applying make-up behind the wheel . 43 % of women admitted to so doing even though they knew they shouldn’t although only 14 % of those surveyed believed it affected their driving. Lip gloss, mascara and lipstick are the products most commonly applied by motorists. Applying make-up at the wheel could lead to a prosecution for driving without due care and attention sometimes more commonly referred to as ‘careless driving’. To prove such an offence the prosecution need to prove that your driving has fallen below the standard expected of a reasonable, prudent and competent driver in all the circumstances of the case. The penalty for such an offence, if convicted, is either between 3 and 9 penalty points to be endorsed on your driving licence or in some cases a discretionary disqualification. There would also be a financial penalty of up to £2500 together with court and prosecution costs. Furthermore the offence would need to be reported to your insurance company and undoubtedly would lead to an increase in insurance premiums. If the manner of your driving falls far below the minimum standard expected of a competent and careful driver; and it would be obvious to a competent and careful driver that driving in that way would be dangerous, perhaps as a result of a collision occurring, a prosecution for dangerous driving could follow. In such circumstances if a witness had observed you applying make-up at the wheel this would certainly be seen as an aggravating factor for sentence and the penalties for dangerous driving are far more severe. A mandatory disqualification from driving of at least 12 months would follow conviction and in some cases the offence can attract a custodial sentence. In summary, applying make-up at the wheel is simply not worth it. Apart from the potential for accidents and the legal consequences, it is also probably not the best environment to apply make-up. Poor lighting within a vehicle and a relatively small mirror could lead to some major make-up errors and you could arrive at your meeting looking like your make-up has been applied by a small child, probably not the best look to go for! We would advise you always wait till you arrive at your destination before applying cosmetics or you could always try the ‘au naturale’ look! Need help from a specialist Road Traffic Law Solicitor? 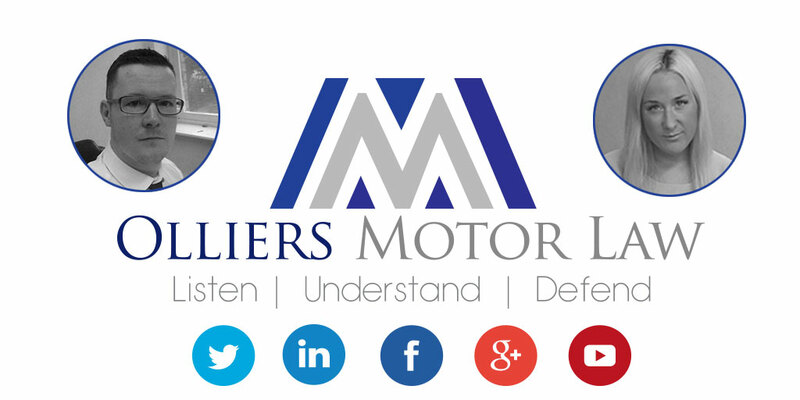 Ruth Peters is a specialist motoring solicitor at Olliers Motor Law. If you have been prosecuted for an offence of driving without due care and attention or dangerous driving give the team at Olliers Motor Law a call on 0808 168 0017 and they can advise you on the options available.